Lost in the Geometry of California’s Farms. HTML5 Animation for iPad and Nexus. 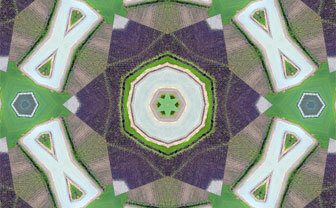 Kaleidoscope based on a canal that slices through the San Joaquin Valley, bringing water to its fields. Credit Jim Wilson/The New York Times. "It's easy to let yourself be overwhelmed by the agricultural geometry of the valley, all those rows seeming to rush past as you drive. But to understand its true immensity and capacity for transformation, you have to drop down off the interstate and onto the valley floor..." by V. Klinkenborg. Read more.